Geneva (AFP) - More than 3,400 people have died in the Mediterranean this year trying to reach Europe, the UN refugee agency said Wednesday, urging governments to take more action to save lives. Most set off from Libya bound for Italy and Malta, looking for work or, increasingly, asylum -- the numbers include 60,051 Syrians and 34,561 Eritreans. The figures were released at the start of a two-day meeting in Geneva hosted by UN High Commissioner for Refugees Antonio Guterres on how to protect people who take to the sea to escape persecution, war, instability and poverty. Ahead of the talks involving governments, UN agencies and NGOs, Guterres warned that many states seem increasingly preoccupied with securing their own borders rather than preventing the loss of life. Without naming specific countries, he said: "This is a mistake, and precisely the wrong reaction for an era in which record numbers of people are fleeing wars. "Security and immigration management are concerns for any country, but policies must be designed in a way that human lives do not end up being collateral damage." An arc of conflict around Europe's southern, eastern and southeastern borders, in Libya, Ukraine, Syria and Iraq, has fuelled the numbers heading to the continent. For many of them Italy is the first port of call and the country has rescued more than 150,000 people from rickety boats already this year. Last week, navy and coastguard boats found an inflatable dinghy adrift of the island of Lampedusa. 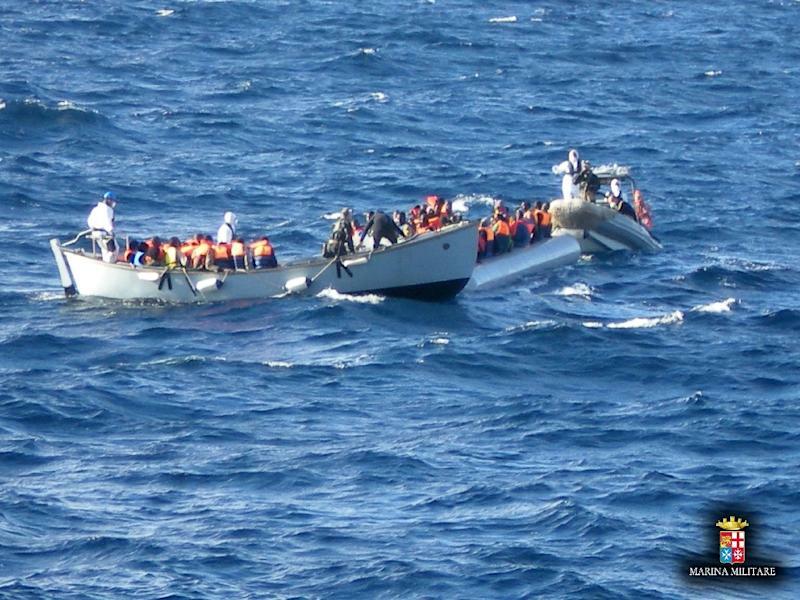 They rescued 75 migrants and recovered the bodies of 17 who died from hypothermia and dehydration. But Italy recently ended its Mare Nostrum search-and-rescue operation after its European Union partners refused to help fund it, with critics arguing that saving the migrants was simply encouraging them to try their luck. 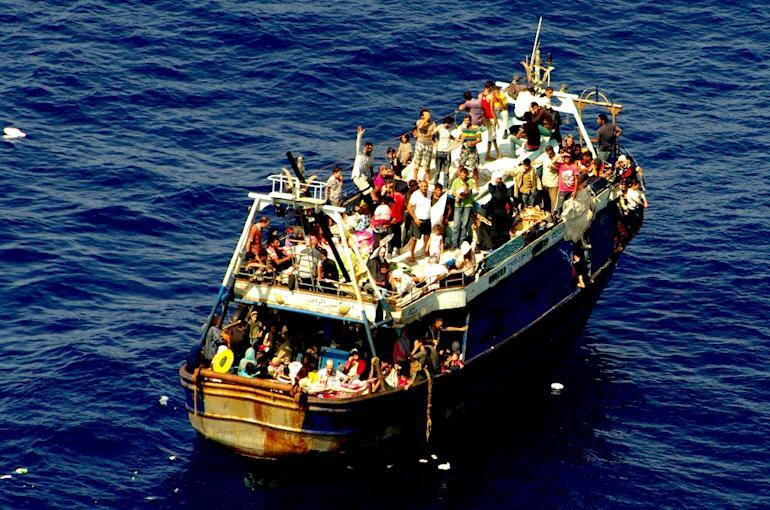 Guterres warned: "You can't stop a person who is fleeing for their life by deterrence. "The real root causes have to be addressed, and this means looking at why people are fleeing, what prevents them from seeking asylum by safer means, and what can be done to crack down on the criminal networks who prosper from this." While the Mediterranean is the most deadly route, it is by no means the only one, with the UNHCR reporting that a total of 348,000 migrants and asylum seekers taking to the sea this year. Comparisons with previous years are difficult due the clandestine nature of the crossings, but the UN agency said the data pointed to 2014 being a record high. At least 242 people died in the Red Sea and Gulf of Aden out of 82,680 people making the journey, most of them travelling from Ethiopia and Somalia to Yemen or onwards to Saudi Arabia or the Gulf states, the UNHCR said. 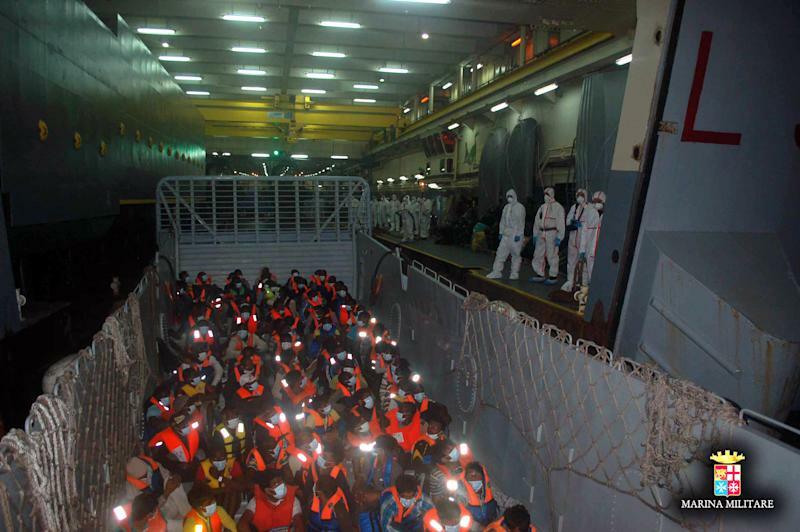 Most recently 24 Ethiopians drowned when their boat capsized in bad weather off the Yemeni port of Al-Makha last week, according to the International Organization for Migration (IOM), revising initial reports of 70 dead. About 540 people also died this year crossing the Bay of Bengal, out of a total of 54,000 making the journey, while another 71 deaths out of 4,775 crossings were reported in the Caribbean, the UNHCR said.